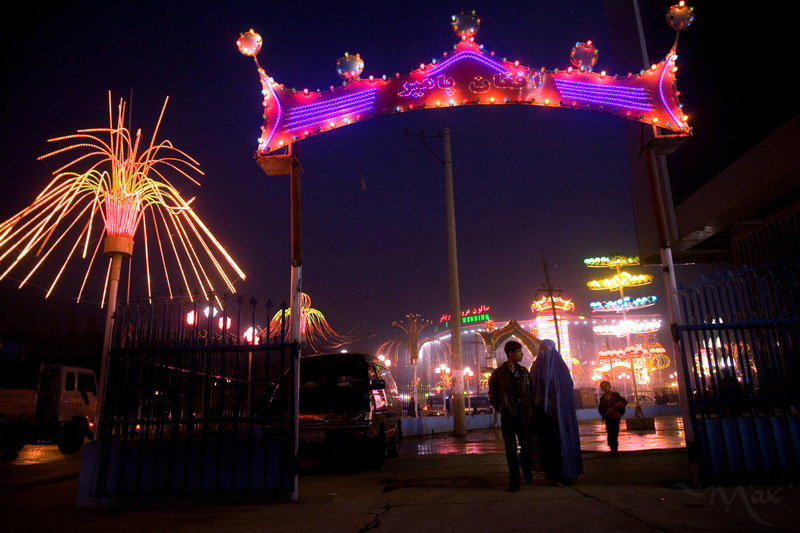 A couple walks under the sign of a wedding hall in Kabul, Afghanistan on Monday, October 5, 2007. Wedding halls attempt to out do each other with lights to attract more customers in the competitive wedding hall market. Young men are facing more cultural pressure as the cost they and their families are expected to pay for a wedding rises. Guest lists in the hundreds and a whole series of parties for the wedding process push some weddings to over $20,000.